Looking for private in-home or in-studio Songwriting lessons? Our Oxford teachers are ready to get you started. Find your teacher today! Please see my profile or contact TakeLessons for more information. a lot. I just believe if it starts to not be fun, what's the point? Music isn't just about perfect theory and note placement it's about enjoyment. That's why I tailor make every lesson specifically based on my student's goals. I have students that like a more traditional approach so I use standard method books with them. I also have students that want to learn how to play by ear so we use a less traditional method and I teach them chord structures and how to move around easily on their instrument. My favorite thing to teach is vocal lessons but I love teaching piano and guitar also. The In-Studio lessons are taught on an upright piano or acoustic/electric guitar. Student should bring own guitar. No pets. Waiting room out front for parents. They need their own instrument. I've performed at Carnegie Hall and I've had the opportunity to work with world renowned vocal coaches. I offer that as well as techniques that I've developed to help you reach your goals quickly and with great skill ! Carrie is great! She is very patient, positive and encouraging. We have three members of our household taking lessons from her, and she tailors the lessons for the individual goals, levels and interests of each of us. Had a great time and look forward to more lessons. It was awesome! Great experience with Carrie and she got me playing within our first lesson! Couldn't be happier! All of my students write songs! You don't have to, but you'll want to/do it accidentally. Some students are content to play songs they know and love, and others want to create songs of their own and contribute as songwriters in their own right. Guitarist/Songwriter Bill G. is a versatile and experienced instructor, who's been playing and teaching guitar for over 20 years, and is fluent in everything from finger style Classical/Flamenco and Folk guitar, to Jazz, all Rock(from classic to modern Alternative/Indie), and various World music styles. From first lesson beginners to highly advanced students; and from simple songs to elaborate music theory, improvisation, and songwriting development; all are welcome to sign up with this patient, and highly recommended teacher. l in 2010 as it's leader. The band has worked with several national and international touring bands, has been featured on indie and major radio from their hometown in Detroit to the UK, and has released two EPs, two singles, and a full length album. Feel free to message with any questions about potential lessons; we'd love to hear from you!. As an instructor, I start students with the basics (open chords, major/minor and blues scales, general rhythm/timing, and beginner technique), and like to get at least a basic ability to sight read (music notation). For younger students, I get them started on a beginner book for sight reading music and simple/basic songs to start with and build up their ability. If a student is a little more capable, we start on a more modern/popular song they like. For my more advanced students, we get into music theory (cycle of fifths, harmony, chord language, etc.) and with some students we study specific genres. My approach is one of building up a student's self confidence, and ultimately making learning fun. I take teaching seriously and value my student's time; so I work to get the most out of them, and to make their lessons worth while. All ages and levels are welcome! Studio space in Helen's of Troy. Office is furnished with seating, music stand, and amplifier. Student must have their own instrument and pick. I'm a singer/songwriter as well as a guitar player/instructor, so the construction and arranging of a song; from the music to the lyrics; are very much within my experience and teaching. Bill is an excellent teacher. He uses any type of music you like to help you learn and stay interested. I leave every lesson excited to go home and practice what I’ve learned. Bill allows me to make a short video of what we’ve gone over that lesson which is how I learn the best when I’m back at home. Its like having that weeks lesson at your disposal for you to use at any time. My love for the guitar has grown tremendously thanks to Bill. It is with the utmost enthusiasm that I express my admiration for Bill's ability to make my first guitar lesson pleasant and comfortable (even when I know little to nothing about playing guitar). I am confident my future guitar lessons with Bill will provide me with solid guitar playing abilities, and will prove to be compelling and diversified. Bill is a nice teacher with full patience with kids. My son likes the class. I see fast improvement in my son's guitar skills. No matter the genre, my songwriting techniques are guaranteed to help you write hit after hit. We can write to tracks or with no music at all. Either way, I will assist you in constructing melodies, lyrics and content that will be a sure win! Are you ready to fall in love with your voice? Are you ready for something different? If your voice isn’t becoming to you, YOU should be coming to ME! I know what it's like to be frustrated with boring exercises and processes that seem to take a lot of time but yield no results. That's why I decided to teach DIFFERENTLY! I've invested a lot of time, energy, emotion and $$$ on big-name schools and "experts", only to be disappointed with what I was taught because a lot of the information or techniques they employed simply didn't apply to me or my goals. I have been named "Top Producer" in EVERY sales and management position held and have won first place in every singing and speech competition EVER entered since 1991. However, with my accolades, I am humble, easy-going and take a light-hearted and humorous approach to my coaching sessions. At an early age, I was taught the importance of working "smart" and not "hard." Efficiency and effectiveness were the order of every day. As the daughter of a Master Herbalist/musician (mother) and bodybuilder/ musician/ policeman (father), wellness, discipline and the stage have always been the way of life. As a child, I was fascinated by my mother's stories of performing with members of Earth, Wind and Fire and other famous musicians and marveled at my father's accounts of being a friend and colleague of Sergio "The Myth" Oliva (3x Mr. Olympia). These experiences piqued a strong interest in stage performance and resulted in years of training in fine arts, fitness and linguistics. I was constantly reminded that the best performers in any field are "complete packages", meaning that they are well-rounded and adept in multiple facets of their chosen field. To become a complete package, I studied classical piano and vocal performance at Sherwood Conservatory of Music and VanderCook College of Music; martial arts (Hapkido) at Hyun's; Fashion Design and Merchandise Management at International Academy of Design & Technology; herbal medicine at The School of Natural Healing; acting and musical improvisation at ETA Theatre and The Second City; flag, rifle and sabre twirling with South Shore Drill Team and runway/print modeling at Barbizon and The Fashion Connection. I have also studied tap, liturgical, ballet, modern, salsa, ballroom and street dance; speech therapy; actively study psychology, anatomy and nutrition and am a NESTA-certified wellness coach. Group classes are also available. Each lesson is tailor-made to suit the student's individual needs. Custom action plan will be given to each student on a case-by-case basis. No instruments are used in my lessons, as I train the voice to be a standalone instrument. However, if you would like to accompany yourself with a guitar, piano or percussion instrument, you are very welcome to do so. *Please note that 15-minute sessions are ONLY available online. In-person sessions must be a minimum of 30 minutes. 31 and 61-minute sessions are for whistle register training only. When choosing online lessons, please make sure that your system is functioning properly, that you know how to use the platform, that you have a good internet connection and that you are logged in on time, as no concessions will be made for time used due to technical difficulties. Our time together is very valuable. If you are not on time for your session, the missed portion will not be made up at the end of the session. If I am not on time, I will make up the missed portion at the end of the session or alternate agreed-upon time. No exceptions or make-up sessions will be made for illness, weather, transportation issues (including car trouble), or any other short-notice reason. Rescheduled lessons must be made a minimum of 48 hours in advance and must be made up within the calendar week of the original lesson. If it is not made up within that week, it will still count as a paid session and cannot be made up at a later time. how to taylor your needs. Margo was amazing! I went to Margo to improve my speech and speaking voice. Within a few minutes of talking to me, Margo diagnosed my problem and gave me execercises to do. I saw improvements in my speech after the first session! Her fun personality made the sessions enjoyable and I walked away with helpful excercises. I am a music producer and I can help you bring life to your musical thoughts. Lessons with me are tailored to you. If you want to learn songs and licks, I'll teach you songs and licks. If you want to learn the guitar in a deeper more technical sense, I'm prepared to take you as deep as you want to go. Help is on the way. I'll teach you what you want to know. ne a goal. I'll always tell you what I think you need to work on to improve your skill and your craft. 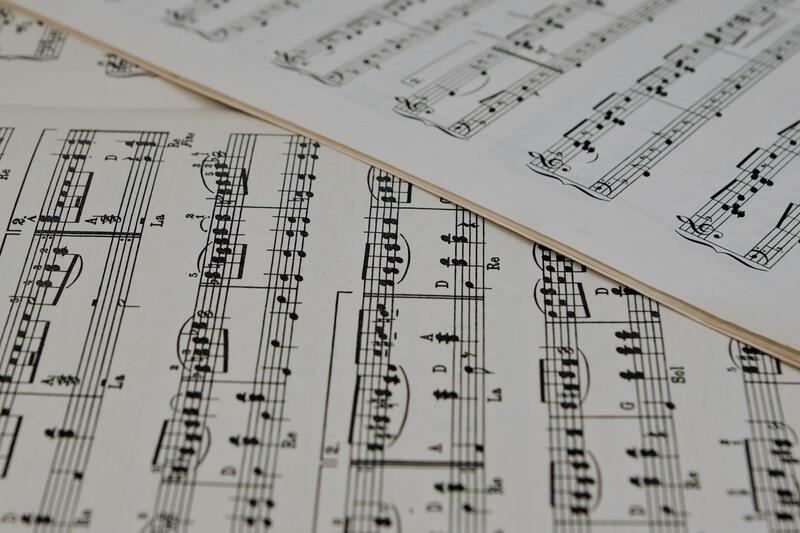 Applied Harmony & Theory for composing, arranging, and improvising music. Ear Training to learn what to listen for in a rhythmic, melodic, and harmonic sense. Sight Reading to translate a composers musical ideas back into sound whether it was written earlier today or 500 years ago. Ed's vast knowledge, experience and easy demeanor is helping me finally gain a better knowledge of the fretboard and expand beyond "blues box 1" and connect the patterns. I think I see a light bulb. Ed has a pleasant easy going personality. I've had a couple of teachers who were great players, but lousy teachers. I quit my last teacher because he was completely unprepared and what we did had nothing to do with what we did the previous lesson that I had spent so much time practicing. I got the feeling he thought he was so good he could just wing it. Wrong. I've only had one lesson with Ed, but he seems well prepared and he has his program structured so the student can learn in a progressive manor. Songwriting is an interesting art, and one that can be approached from several different directions! As a student of this discipline, you can be expected to be exposed to an enormous range of styles and compositional ideas, as well as poetry to lend to your lyricism. I’m a professional singer-songwriter, performing and recording artist. I signed my first publishing deal in Los Angeles in 2004 and spent three years studying music at the Biola Conservatory of Music. I left school to jump on my first tour, opening for Kate Voegele and the Veronicas. I toured the U.S and Europe for many years opening for such acts as: Damien Rice, Colbie Caillat, Andy Grammer and Gavin Rossdale. During that time, I also wrote, recorded and released my own songs as well as songs for film and television. My songs have been placed on: Gilmore Girls, One Tree Hill, Macy’s (Thanksgiving and Christmas campaigns), Catfish (The Movie), Kleenex, Pringles, So You Think You Can Dance, The Blacklist, Teen Wolf and Hemlock Grove, GUILT, the Runaways and The Rook. or co-writing lyrics! Though melody is equally as important as lyrics, I love diving into the story, poetry and the words each specific artist is drawn to. Instead of just trying to copy whatever is on Spotify or on the radio, I love hearing an individual’s perspective and writing their story uniquely to them. I want every word, every lyric to MEAN something so that, if you were to take even ONE word out, it would change the story. I don’t like using filler words like “Yea”, “Baby” “oh oh oh”….etc. haha. My favorite songs are “Landslide” and “Hallelujah”. I strive every day to write something that sets the bar high. I use a multitude of creative writing techniques to inspire lyrical concepts… Metaphors, similes, “webbing” (as I like to call it), and imperfect rhyming. I believe the rules to songwriting can be broken. Not everything HAS to rhyme! A song doesn’t have to be three minutes and thirty seconds long! The structure doesn’t have to be perfect. I am currently signed to Kobalt Music Publishing where I’m booked to write lyrics for different artists each day. I’ve had songs cut by: Kelly Clarkson, AKON, Rita Ora, Michelle Branch, Tori Kelly, Icona Pop, Adam Lambert, Jason Mraz, Jojo, Christina Perri, LIGHTS and Damien Rice. I would love to write a song with you! I would love to hear your story, know your favorite songs, hear the words you like to use, the way YOU see life and describe feelings. Every writer can carve his/her own path and I’m here to help you sharpen your tools. I’m down to come to you, Skype, or you’re welcome to my home in East Hollywood.